Jesus The Radical Pastor: Welcome, Sylvia Diane Schwedler! Our newest granddaughter was born at 11:49 p.m. August 28, 2006. She weighed 8 lbs. 4 oz. and was 19" long. Her mother, Leah, is recovering well and Andy, her dad, is already adoring her. We, John and Julie, the grandparents, being veterans, are only EXTREMELY ECSTATIC about her arrival, but what do you expect. 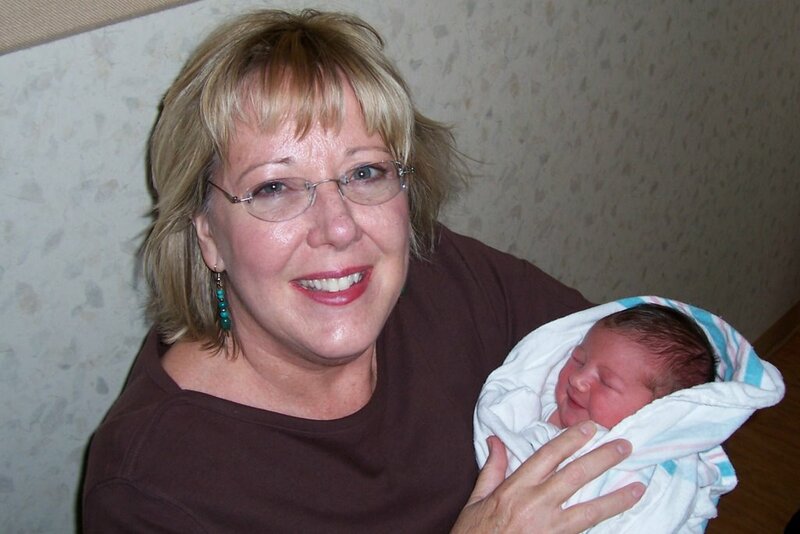 Julie is holding Sylvia for the first time (picture) and Sylvia is thinking in the other picture, "I know I am adorable." Another cutie. John, you and Julie really come up with the cutest grandkids! Praise God, and blessings on all. What a beatiful grandchild! I'm happy for you. 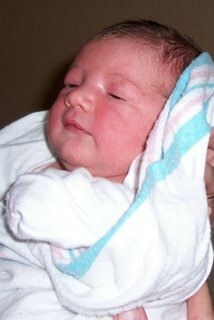 Thanks for celebrating this beautiful little bundle of life--another sweet gift froom the Lord. Boy, this is really odd. You go and put up a blog site, and all of the sudden you've got grandkids popping up left and right. ...You might want to contact tech-support about this! They didn't have the proliferation of grandchildren in the fine print of becoming a blogger. I wonder if there is a connection! Thanks! She is a cutie!